Correcting behavior without yelling and reacting is challenging. to using a mindful authority which inspires listening, respect and cooperation. We have two ways learn. Purchase either a course package or an individual course. 1. This 2-5 yr. old 7- Product Package is filled with concepts, tips, solutions and sample conversations that address big emotions, crying, tantrums, power struggles and shares ways to work with intense developmental phases, instead of against them. Click the photo for the list of products. 2. Kids ages 5-7 are just beginning to understand how family and life work, yet they still unconsciously acting out in order to test their understanding and budding social-emotional skills. This 7-product package shares how to enforce rules and boundaries while remaining empathetically connected, all without resorting to yelling. Click the photo for the list of products. 3. Every day children ages 7-13 face persistent factors that influence and can alter their behavior. This 7-product package uses real-life situations to show you how to work through, and mindfully correct, an older child/tween, while remaining connected, thereby creating a true experiential learning moment. You’ll also learn how to motivate listening, create responsibility, independence and respect Sound too good to be true…read on. Click the photo for the list of products. 4. Being Mindfully isn’t just about breathing. Using a mindful parenting authority allows you to empathetically connect as you correct behavior by building a bridge between today events and the skills needed for the future. This 7-product package shares concepts and sample conversations that provide a roadmap for current and future parenting. Click the photo for the list of products. A How to Parenting Manual sharing how to stop an argument, reduce misdirected attention, make a sincere apology, stop disrespect in 3 seconds—really. Plus 3 ways to correct behavior w/o timeout; one for ages 2-3, one for ages 5-9, one for ages 10-18. Remain connected while correcting behavior, without sacrificing the authority you’ve been looking for. Should I correct developmentally motivated behavior or not, and if so how? This solutions eBook shares little known insights about development for ages 3-13 so you can empower and teach your child, instead of punishing. Children react to warnings instead of listening to them. When you adjust the way you deliver a warning, they work the way you hoped they would. You’ll also receive sample conversations to support you. 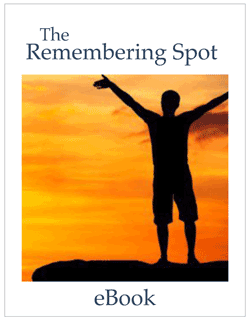 The Remembering Spot A mindful version of timeout, teaching listening and cooperation, that actually works! Kids ages 2-5 are influenced by rapid development. Learn how to work with, not against that development. This audio shares little known insights into the rapid, often intense development that occurs between the ages of 2-5, and offers ways to work with these changes instead of against them. This video shares little known insights into the rapid, often intense development that occurs between the ages of 2-5, and offers ways to work with these changes instead of against them. This combo lets you listen in the car or watch at home as it shares little known insights into the rapid, often intense development that occurs between the ages of 2-5, and offers ways to work with these changes instead of against them. Find out how to stop arguing, create clarity, and motivate listening and cooperation. Being Heard Instead of Arguing contains 8 to the point mp3’s, plus eBook. You’ll learn the myths that cause arguing to re-ignite, techniques to stop arguing that grow with your child, transformative skills shifting arguing into cooperation, plus so much more. Clarity Replaces Yelling consists of 7 concise mp3’s plus eBook. You’ll learn which types of questions replace yelling, words that inspire responsibility and action, all while being calm and empathetic, instead of yelling. Motivating Listening & Cooperation contains 11 content-packed mp3’s plus eBook sharing differences between learning consequences and punishment, steps and sample conversations to support learning consequences, an empathetic connected way to express firm boundaries that motivate listening and cooperation. Coaching illuminates blocks and provides unique solutions to change behavior. Real life challenges you to put your skills into action. Our book has 108 real life situations and solutions to help. 108 daily-life situations showing you how to transform yelling, arguing, and punishing into connected, yet firm learning moments so you can teach your child about their behavior.